The revocation has left the BJP in a Catch 22 situation as it goes against the party's claims of working for women empowerment. Srinagar: When the Mehbooba Mufti-led government abolished stamp duty on the purchase of property registered in the name of women last May, the decision was hailed as a move towards economic empowerment of women. The impact was soon evident as families started to register properties in the name of women. Jammu and Kashmir was the first state to take this “giant step” to help women scale the socio-economic ladder and embark on a journey towards gender-balancing social power relations. 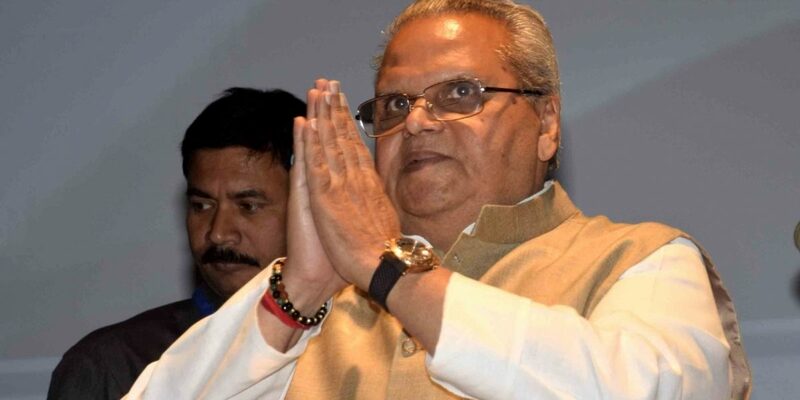 But on January 25, seven months after Mufti lost power following the Bharatiya Janata Party’s withdrawal of support, governor Satyapal Malik reversed the historic decision. A stamp duty of 3% was fixed on purchase and registration of property in the name of women. The sudden move invited sharp criticism from Mufti and her Peoples Democratic Party (PDP). It even left the BJP, which is ruling at the Centre, embarrassed, seeking a rollback. Speaking to The Wire, Mufti described the revocation of zero stamp duty as an “aggressive and harsh decision”. “It is very, very unfortunate on part of the governor’s administration to have taken such an undemocratic decision. It will push women backward,” cautioned Mufti. Mufti criticised the Centre for making “loud claims” about women’s empowerment but allowing the governor’s administration – controlled by the Centre – to take this “anti-women” decision. On May 12, 2018, the state cabinet headed by Mufti approved zero percent stamp duty on purchase of property in the name of females, both in rural and urban areas. Besides, the cabinet also approved to levy a stamp duty of 5% for buyers in urban areas and 3% in rural areas. Earlier, women had to pay 5% stamp duty on land or estate purchased within municipal limits and 3.5% in rural areas. Men paid 7% and 5% respectively. Then finance minister Haseeb Drabu described the government’s move to abolish stamp duty on women as creative way of empowerment by market incentives. “It will help gender balance social power relations,” he had said. The decision was welcomed by the women in J&K. Mufti said the idea behind her government’s decision was to give women a sense of ownership within the family and improve their social status. “It had a positive impact on relationship within the family. I fail to understand why the governor took this harsh decision,” Mufti said. The PDP chief said the governor’s decision was in total contrast to Centre’s slogans about women empowerment. “Don’t they (the Centre) talk about beti bachao, beti padao and naari shakti? When we took a step in this direction, why did they strike it down? What message are they conveying through this bad decision?” she asked. In a statement issued to the media, Mufti launched a frontal attack on governor Satya Pal Malik over the revocation. “There has to be a limit to how far the governor’s administration can go. He needs to draw a line for his actions,” Mufti said in a strongly worded statement. She demanded that her government’s order be immediately restored. Former finance minister Altaf Bukhari and ex-PDP leader joined Mufti in attacking the governor. “The administration says the decision was taken in large public interest. How can an anti-people decision be described as pro-people?” he asked. Apart from fixing stamp duty at 3% on purchase of property in the name of women, the new order, issued by state finance department, has hiked the duty on all registrations from the current 5% to 7%, in both urban and rural areas. The duty on purchase of property, jointly in name of husband and wife, has been fixed at 5%. In December last year, the state administrative council headed by the governor approved a Rs 88,911 crore budget for 2019-2020, an increase of 10% compared to the previous budget. According to official figures, more than 65% of the budget, Rs 58842 crore, will go into meeting non-revenue expenditures, including salaries of over four lakh employees. Besides, Rs 7,700 crore is estimated to be spent on purchase of power. But the state is expecting a loss of more than Rs 4,500 crore on account of non-payment of tariffs by consumers and losses resulting from worn out and faulty transmission and distribution systems. The losses, which have been rising with each passing year, have been pegged at Rs 4,100 crore for the ongoing financial year. “While there is no accountability on this front, a decision that could have gone long way to empower women has been rescinded for a gain of few hundred crores,” said Javaid Ahmad Dar who teaches economics at a Srinagar college. “This only reflects misplaced priorities of the government,” said Dar. The J&K financed department, however, defended scrapping the zero percent duty order citing loss of revenue to state exchequer. “The state would suffer an annual loss of around Rs 200-Rs 300 crore if this ordered is continued,” said a senior finance department official. Weren’t these losses taken into account by the finance department when the cabinet approved the zero percent stamp duty? “We had briefed the government. But it was an emotional decision (to abolish the duty),” said the official. He said the state’s revenue generation from different sources was only Rs 17,000 crore against the total budget size of Rs 88,911 crore. “Taxes are our major source of revenue and if we abolish them, we will become totally dependent on Central assistance and loans from the market,” said the official. Another official said the 3% percent duty was the lowest in any state, adding in some states it was at least 7%. The governor’s decision has left the BJP, which was part of the coalition state government when the stamp duty was abolished, in a Catch-22 situation. The party fears it could prove a major setback during the upcoming Lok Sabha and state elections as it might anger women. Though the party hasn’t reacted to the decision officially, there is a feeling within the BJP that their political opponents could exploit the decision against them. Registration of property in the name of women witnessed a massive jump after the May order. In Srinagar district alone, more than 5,300 properties and assets, including land and houses, have been registered in the name of women in past nine months as per records maintained at the city’s sub-registrar office. An official said data on registration of property in the name of women in all districts was yet to be compiled. “But this process had picked up in every district,” he said. In the city court alone, the official said, at least 20-25 applications were received every day to register properties in the name of women. Ownership of assets in the state is largely in the name of men. Only 23% of women in the state owned land, while a mere 33% owned a house, according to census data. Besides, female literacy rate in the state is at 56.43%, much lower than male literacy (76.75%). “Women in Jammu and Kashmir have been victims of conflict for decades. The ruthless manner in which a measure taken for their economic and social boost has revoked is senseless to say the least,” said Mufti.